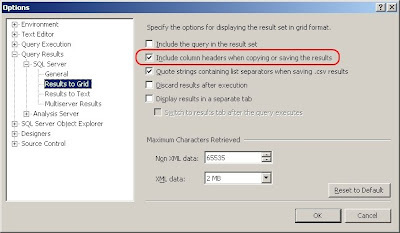 A handy little option to enable in Management Studio for users who copy and paste query results from the grid into Excel or other applications, is to include the headers as well as the data. This can be done from the "Tools" -> "Options..." window. 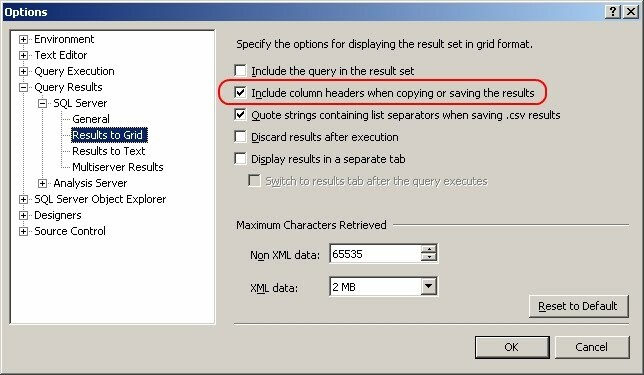 Expand Query Results, then SQL Server, and finally select Results to Grid. On the right you should now see the option to "Include column headers when copying or saving the results" - enable this and no longer will you have to type the headers into the spreadsheet again!